This may be the most exciting post of the month. You, reader, are about to read a review of Astoria’s finest Chinese-American restaurant, Golden Dragon! I’ve ordered from Golden Dragon on a number of occasions. 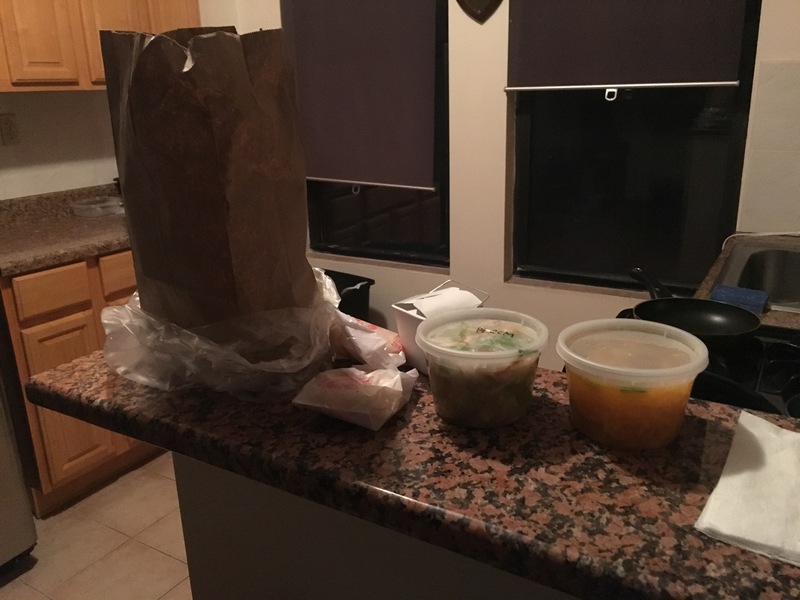 Being the closest Chinese restaurant to my apartment, it’s easy to order online and quickly pick it up at my convenience (if possible, I try to avoid having food delivered if I can pick it up myself; maybe a topic for a future post to elaborate). When ordering, I tend to stick to safe choices that are universally similar across Chinese restaurants nationwide and difficult to mess up. According to the list of my past orders on Eat24, historically I’ve usually stuck to either General Tso’s chicken or chicken & garlic sauce. 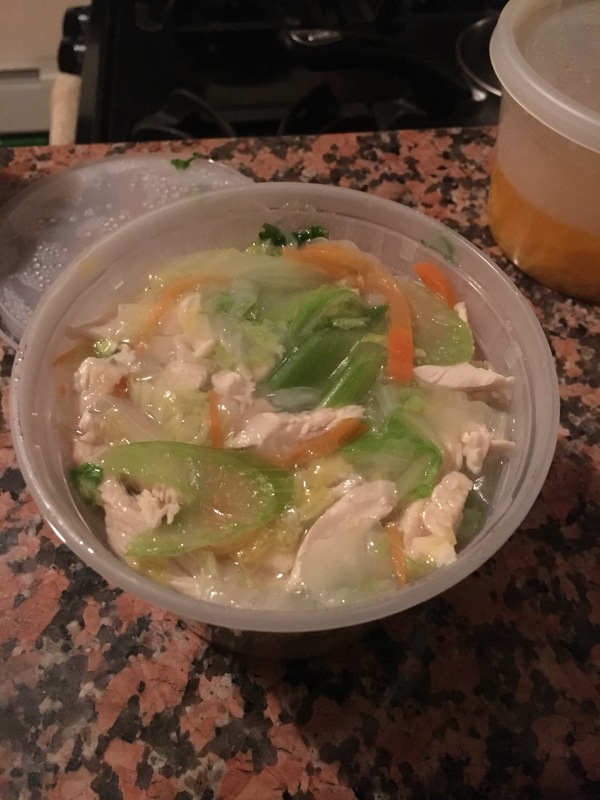 I once tried ordering sliced chicken & garlic sauce, which is somehow different than just regular chicken & garlic sauce, and was disappointed that the order contained more of my least favorite vegetables, onions and celery, than it did chicken. Aside from that, everything has been good for the most part, though I guess I have kind of low standards when ordering Chinese to begin with. For tonight’s order I once again decided to try something new. 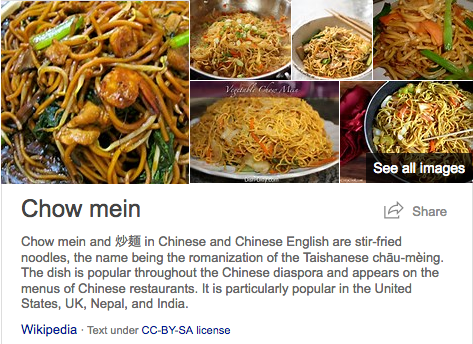 After much through, I put in an order for chicken chow mein and a wonton egg drop soup. Here’s what the order looked like before I dug in. 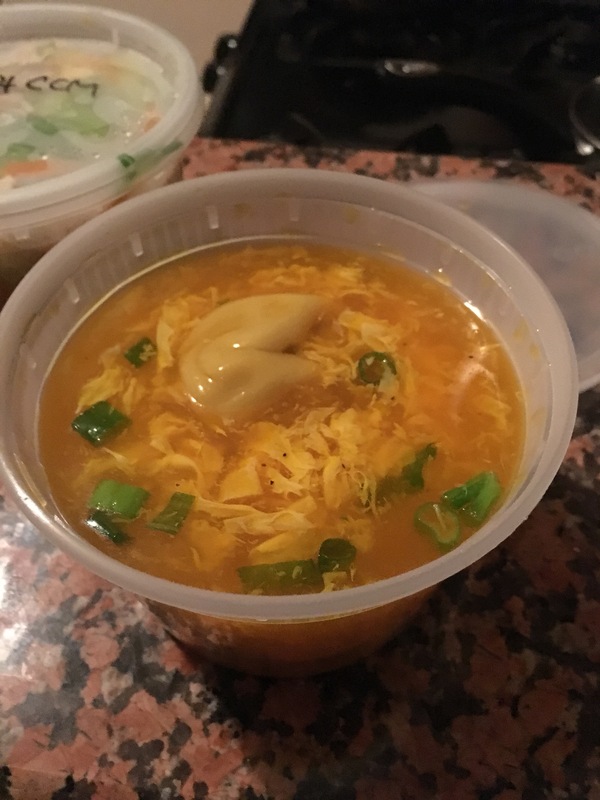 Growing up my family would order wonton soup or egg drop soup, but for some reason we never ever tried wonton egg drop soup. I never knew that such a combination existed until I moved out last year and took a good long look at a restaurant’s menu. To say the discovery was life changing would be putting it lightly. Seeing as the weather has recently taken a turn for the colder, I thought it would be only fitting to celebrate with a good container of soup. The soup was definitely the bright spot of this meal. On a scale of 1-10, I’d give it a 6.75. It’s not the best soup I’ve ever had, but it’s by far not the worst. The egg drop base did seem a little too salty, which took too much emphasis away from the decent eggy taste. The wontons tasted alright, but the plastic spoon provided by the restaurant was barely strong enough to break through the tough exterior of one to break it in half. The crispy noodles included in the bag were pretty standard crispy noodles, which means that they were pretty good. I can see myself ordering this again as winter descends upon the land. I honestly have no idea what this was supposed to be, but it ended up being a watery, tasteless mess. Once again I somehow ordered a dish bereft with onions and celery, though it did have a few bits of carrot and soggy lettuce (?!?!) mixed in. To Golden Dragon’s benefit there were actually a couple of pieces of chicken floating around as well, though hardly as many as I would have liked. The only redeeming quality about the meat was that it was seemingly steamed chicken, not fried like most other chicken options on the menu. After toying with the dish for five minutes trying to just pull out chicken and carrots, I had to finally put it off to the side. I’ll try to salvage whatever I can from it in the future whenever I make an omelet or something. Disappointed, I even opened up the included carton of white rice, thinking it might contain more flavor than what I had been struggling with. I ended up eating the rice with some hot sauce from the local empanada place mixed in. I think I’ve learned my lesson when it comes to ordering from Golden Dragon. They do the basics just fine, but I can’t let my imagination run wild when eyeing the menu. Next time, I think I may just stick with chicken & broccoli.